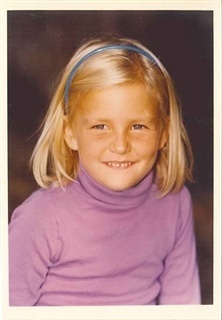 It’s school picture week, and seeing so many students wearing a favorite outfit or with hair “done” brings me right back to my elementary school days. Picture day was always exciting- it meant the year had really begun, and documented the class as a community for the first time in the year. I still have my 2nd grade class photo and when I look at it, I can remember my lines from our class play, feel the thrill of meeting an Olympic medalist at a school assembly, and smell the salty air of the day we had a field trip to help clean up a local beach. Elementary school is so much more than the subjects taught. The most prominent memories I have of elementary school are the ones in which everything came together. We made our own props and set for the play we did that year, through which we learned math, art, and language arts skills. We did a project on keeping the oceans and beaches clean, and were interviewed by a local news station for our efforts. We spent time creating a classroom community and learned how to solve playground issues by talking them through. At ISTP, our bilingual immersion programs mean that there is a greater focus on language than in many other schools, but we are first and foremost an elementary school. When they look back at their class photos, our students will remember their class projects, their trips, and their student council activities. But their memories will be even richer, as they will be in a variety of languages. As we teach them to be excellent students, we are also teaching them to be excellent global citizens, and those lessons are found not only in reading, writing, and arithmetic, but even more so in the celebrations, projects, trips, and community-building activities that further enrich our school.